Edwin Charles Kay Clarke was the only son of stock-broker Charles Sidney Clarke and his wife Elizabeth Clarke. He was born in 1908 and admitted to Westminster in 1910, joining Rigaud’s House. He was an accomplished cricketer and won the Pashley Cup for bowling two consecutive years in a row. He left the school in 1910, and joined the Inns of Court Officers’ Training Corps in 1911. He remained with this division for five years, and was promoted through the ranks to become a Captain in 1916. 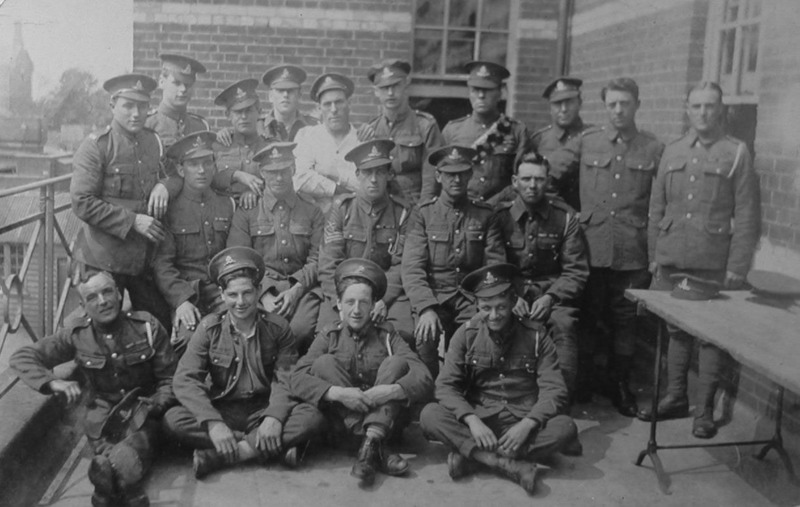 In 1918 he joined the 8th Battalion of the London Regiment, an unusual regiment that were not affiliated with the Territorial Force, but instead was treated as a corps in its own right. Clarke was sent to the Western Front with the London Regiment in May, and was killed during an attack on Massiere’s Wood in August of that year. 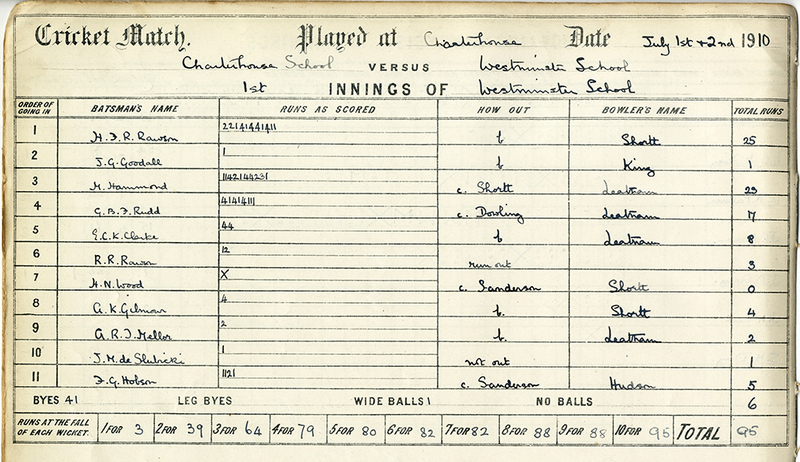 Cricket scores for Edwin Charles Kay Clarke in his final year at Westminster.